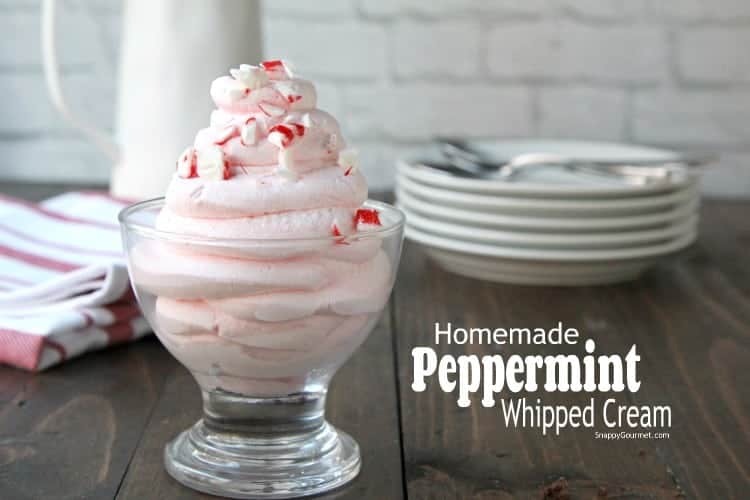 With a few tips and tricks, making Homemade Peppermint Whipped Cream is a breeze! 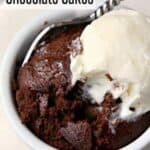 It’s perfect on its own as a special treat, or use it as a frosting for cakes, to top drinks such as hot chocolate, to make holiday trifles, or even on top of ice cream. It went great on top of my Chocolate Dump Cake. Don’t ask me how I know this. haha! 1. BOWL: Make sure your bowl is COLD. I like to use a metal bowl and put in the freezer for a little while before I start. 2. BEATERS: Beaters should be COLD too. Again, I like to put them in the freezer for a little while. 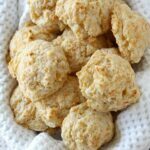 You don’t need to put the MIXER in the freezer or refrigerator (not a good idea…), just the beaters and anything that is going to come in contact with the cream. 3. CREAM: Your heavy whipping cream should be really cold too. Don’t take it out of the refrigerator until you are ready to use it. You can put in the freezer for a few minutes as well to get it “extra” cold but don’t put it in for too long because you don’t want it frozen. 5. ADD-INS: Once your cream starts to thicken, slowly add your flavoring (peppermint in this case) and sweeteners (powdered sugar in this version). Then continue beating until soft peaks. 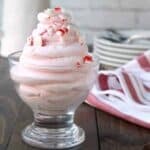 If you follow the tips for making whipped cream from above, making peppermint flavored whipped cream should be easy peasy. Again, be sure you start with COLD heavy whipping cream, bowl, and beaters. Slowly start whipping the cream. Once it starts to thicken slowly add a little powdered sugar at a time, then the peppermint extract. Beat in a few drops of red or pink food coloring if you’d like as well. Then beat the cream until soft peaks. Soft peaks barely hold their shape when the beaters are lifted. You can beat them to a slightly more firm consistency but be careful to not overbeat. 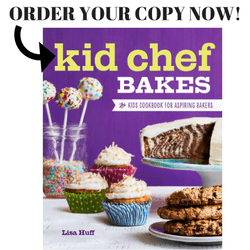 You can use a stand mixer, hand mixer, or even a whisk. I personally like a hand mixer, but I know a lot of people enjoy their stand mixers. A whisk will work but will take a long time so be sure you don’t mind whisking for a long period of time. 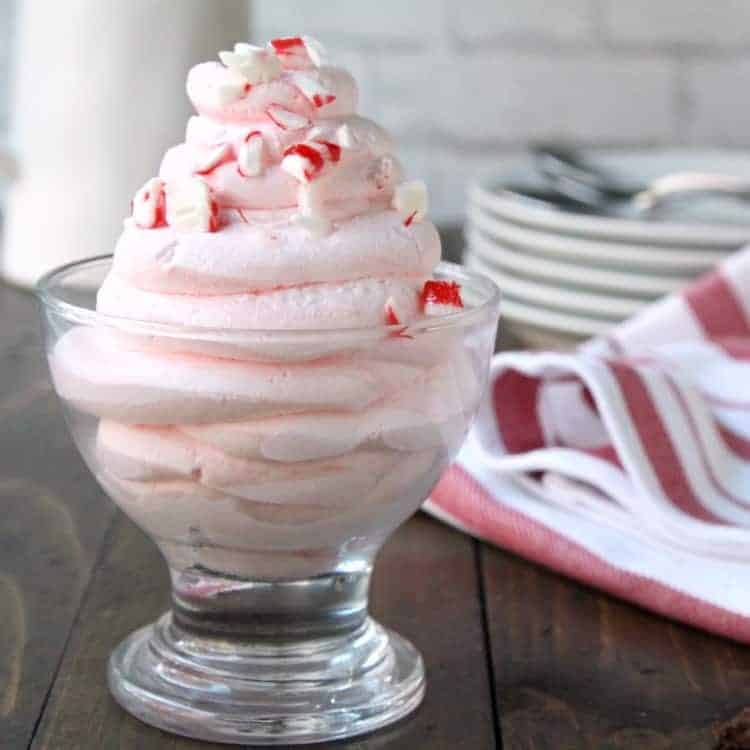 Now you can use your Homemade Peppermint Whipped Cream for whatever you’d like! 1. Nothing. Seriously, it’s great just in a small bowl all by itself. Top with some crushed candy or mini chocolate chips. 2. Trifles. Great in layered desserts like trifles. Add some chopped brownies or cake and layer it with the whipped cream. 3. Drinks. 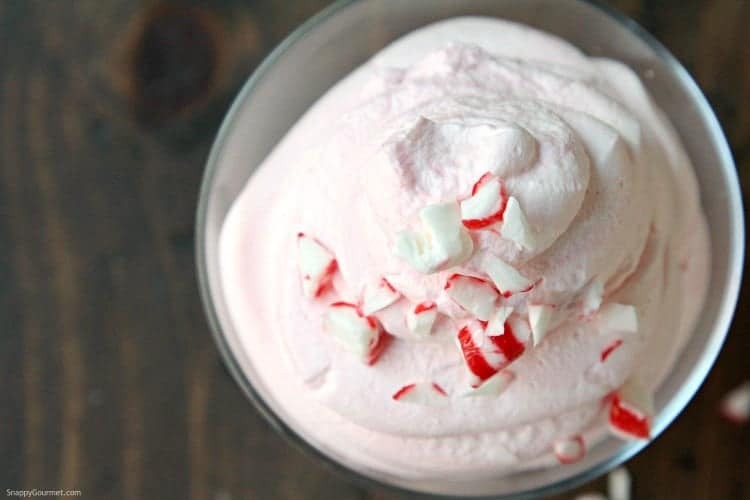 This peppermint whipped cream is perfect for homemade hot chocolate. 4. Cakes. 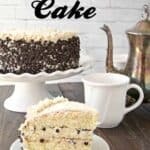 Use the homemade whipped cream as a whipped cream frosting for cupcakes and cakes. 5. Ice Cream. Perfect for topping ice cream and sundaes! How long will homemade whipped cream last? 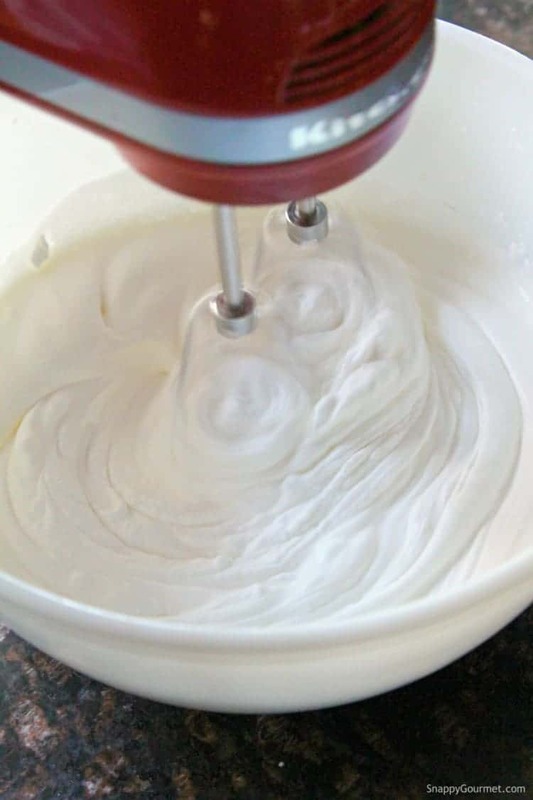 If whipped to soft peaks and not over whipped it usually can last a few hours to about a day in the fridge. If you are making it for a special occasion you may want to do a test run first just to make sure you don’t have any issues. 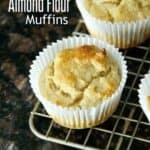 How do I make non-dairy whipping cream? I’ve been seeing more and more dairy-free whipped creams at the grocery store lately. If you’d like to make a homemade version and you’d like a heavy whipping cream substitute, you can try coconut cream. Again, I’d do a test run and just make sure you like it before doing a big batch. To get the coconut cream, you’ll need to put a can of coconut milk in the refrigerator for at least a few hours or overnight. Once cold, the milk will separate and you’ll have a solid cream at the top that you can use for a non-dairy whipped cream. 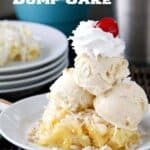 Tell me how to stabilize whipped cream? If you’d like stabilized whipped cream so that it lasts a little longer and closer to a day, you can try stabilizing it with a little unflavored powdered gelatin. Mix about 1 teaspoon of gelatin in about 4 teaspoons of hot water until dissolved. Let it cool, then add to the whipped cream when the cream starts to thicken. Once again, always good to test this out before making something for a special occasion. 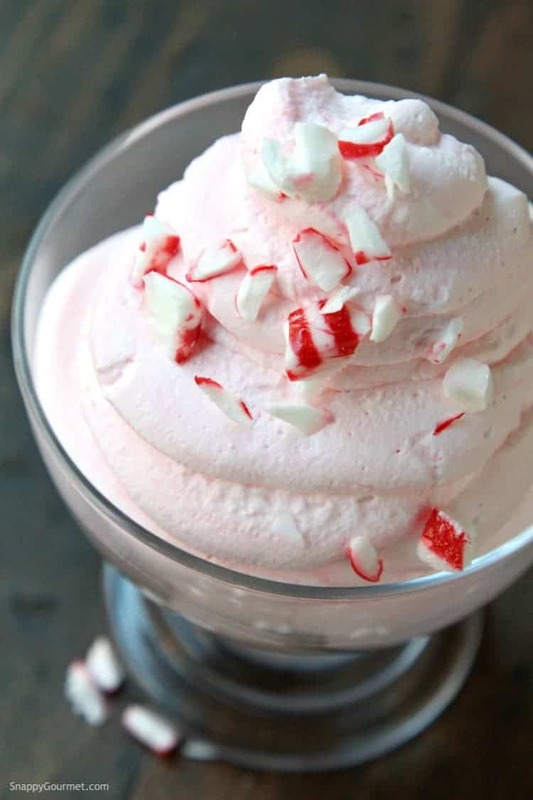 Hope you enjoy this Homemade Peppermint Whipped Cream! 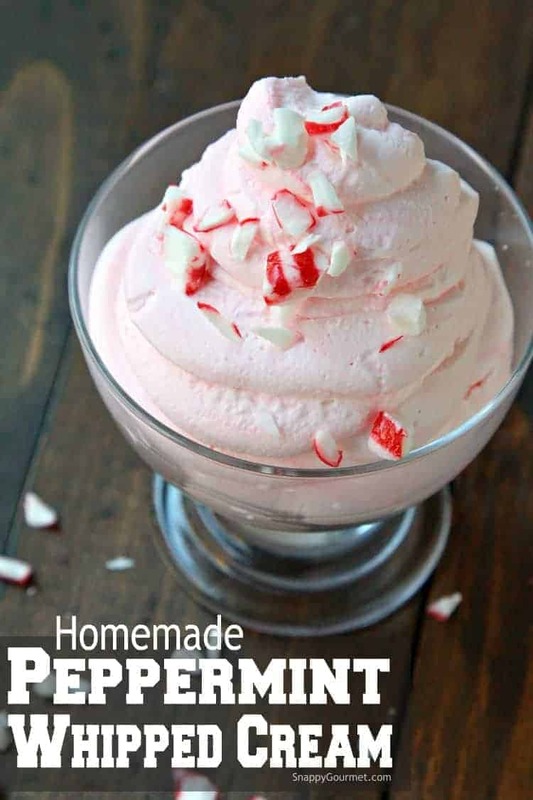 Peppermint Whipped Cream, homemade peppermint flavored whipped cream great as a cake frosting, topping for hot chocolate, and more! Place metal bowl and beaters in freezer or refrigerator until cold. Remove bowl and beaters from freezer/refrigerator. Add cold heavy whipping cream to the cold bowl. Beat cream with the cold beaters until cream starts to thicken. When cream just starts to thicken, slowly add sugar and peppermint extract. Continue beating until soft peaks form. Beat in a few drops of red or pink food coloring if desired. Use as desired. SNAPPY TIPS: Make sure your bowl, beaters, and cream are all very cold for best results. If you like your whipped cream more on the sweet side, you may want to add another 1-2 tablespoons of powdered sugar. 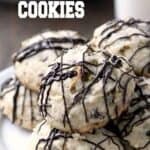 SNAPPY SUBSTITUTIONS: You can add any flavored extract and/or food coloring. Amount of extract may vary depending on flavor. This is gorgeous! I bet it would be perfect to top on a cup of hot chocolate! I will have just a bowl full please. Looks so fantastic and fluffy. I have a child obsessed with chocolate mint – he would love this on top of hot chocolate! Oh my! That’s a great idea and timely for the holiday season. This looks so pretty! Perfect for Christmas!